No data cap on usage. 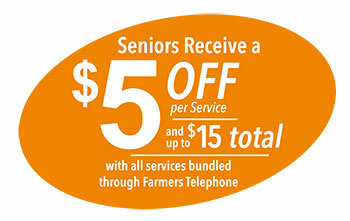 E-mail support@heartland.net or call the business office at 800-509-3001. As low as $30.00 per month! Heartland Net has installed a system of wireless antennas covering the cities of Shenandoah, Red Oak, Clarinda, Riverton and Sidney. These antennae broadcast broadband Internet service into the airwaves. With the proper antenna and termination equipment installed at your home or business, you'll have an "always on" connection to this very high-speed Internet service. You continue using your same Heartland Net email account but no longer need to dial in for access plus you'll enjoy dramatically faster speeds navigating the Internet. What does the wireless service cost? Purchase: One-time $60 install fee. Lease: $5/mo. 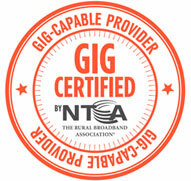 Heartland Net owns and maintains equipment at its cost. Additional E-mail accounts ... one for each family member or company department! Connection rates are subject to change. Terms and conditions for your Internet service are stated in your "Heartland Net User Agreement" and "Acceptable Use Policy". You may not run any services off of our broadband internet. Bandwidth (speed) is set to the customer's preference and is not guaranteed due to the customer's equipment, distance, and weather related problems. Not all services are available in all areas.